We are a RICS Chartered firm of property surveyors established in 2007, providing high quality property surveys across the home counties and the Midlands. From our offices in Milton Keynes and Bedford, our RICS surveyors offer fast, professional services to a range of customers and clients, from homeowners to institutions. We understand that each client has a specific, unique requirement when it comes to property surveys, so aim to provide a personal service that's flexible to your needs. We specialise in RICS HomeBuyer Reports and RICS Building Surveys, and are happy to provide you with expert and impartial advice on any particular requirements you may have. Our founders have more than 30 years of expertise in property types and construction techniques across the area, meaning expert, easy-to-read reports for our customers. Our HomeBuyer Report is the most popular RICS property survey available, and is vital for home buyers looking to understand in detail the structural condition of their home. The survey is meant for traditional homes made from conventional materials in a decent condition, so a Building Survey is better suited for very old properties at risk from structural issues. The HomeBuyer Report is formatted in an easy-to-read way as structured by RICS, including a clear to understand 'traffic light' condition rating for every part of the property. This includes outbuildings and the garage, in addition to every section of the house. 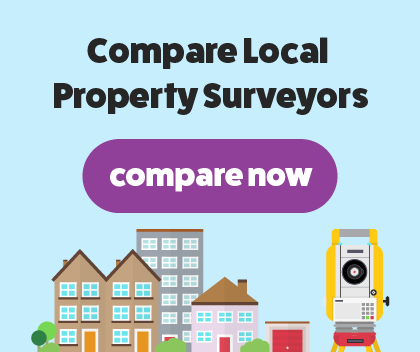 This is a vital tool for any home buyer, as the report includes a professional market valuation by the chartered surveyor, including any structural issues that might change the asking price. A Building Survey is the most in-depth condition survey we perform on residential properties, and is vital for prospective home buyers looking to buy an old, dilapidated, or listed property. The survey is also particularly important for unusual or altered properties, and vital if you are looking to significantly alter your home. The survey is undertaken by our skilled RICS Chartered Surveyors, and includes an in-depth inspection of all accessible areas of the property. The report is easy to read, and will outline visible and hidden defects throughout the property. Our expert property surveyor will outline maintenance and repairs options, and any future structural issues or risks.